Does the Venetian lagoon ever freeze? In 1929, it did. How cold was it? Can you spot the vaporetto di una volta, from once upon a time? After running a few errands and making it back inside just before my nose fell off, I’m still refusing to believe we’re gearing up for a similar experience this winter. 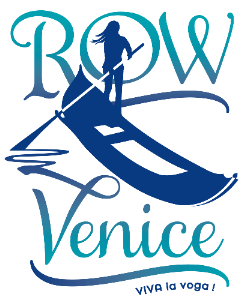 This entry was posted in About Venice on December 20, 2009 by Living Venice. Thanks for the post. This brings back memories. We were in Venice over Christmas. After attending Christmas eve mass at San Marco we had to wade in almost knee deep water to get to the San Zacharia vaporetto stop. Nonetheless we had an amazing time in Venice and I miss it more and more everyday. But minor freezing events happen let’s say every 1-3 years, above all in the areas far from the city (Venetian Lagoon is much larger than the city only). While in many harsh winters all the Lagoon froze over – now it is more difficult to see it in Venice, because in the mid XXth century a deep channel was digged inside the Lagoon to allow big merchant or oil ships to reach Marghera harbor (Venice harbor), so that the last winter the Lagoon froze for many square miles (Decembre 2001 – January 2002) we could not see Venice blocked by ice. I agree. I have no record for winter in 1956 which had an extremely cold spell. Nor for Febtuary 1963 also bitterly cold and very snowy. However I have personally wintessed the January 1985 event which was major. 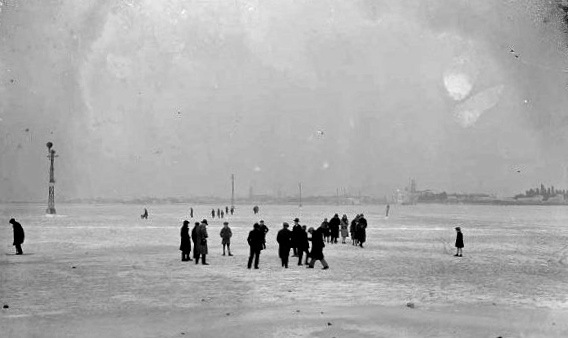 The north side of the lagoon was amost completely frozen for several days and there are photos of a football game being played on thick ice. Also the 2012 February chill caused substantial freezing.